What we believe, we do! "May God Almighty bless you and make you fruitful and increase your numbers until you become a community of peoples." Communities thrive when we work together for good. Discover how your help furthers RiverWind's cause and supports vital programs. RiverWind programs are focused on training leaders. 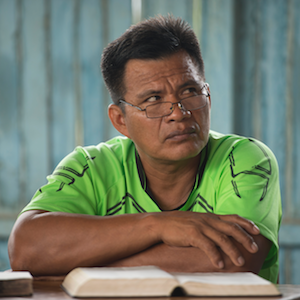 The core ministry of RiverWind consists of Orality, training trainers to teach the Bible to indigenous peoples who are oral, rather than book, learners. People are the heart of RiverWind's ministry. People need to know God; people need to serve God by serving and preserving his creation. Jesus came to redeem people and renew creation. This is our call at RiverWind. 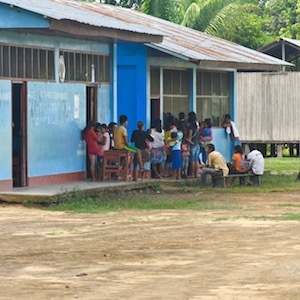 RiverWind engages communities along the Ucayali River, investing in clean water wells, offering school and vacation activities for children, promoting women's projects, environmental education and leadership development. We are very glad you've found us! We listen to, learn from and lead with God's people in different cultures and contexts to serve, transform and grow thriving communities built upon Kingdom values. 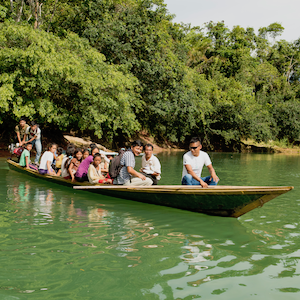 Join us on the Ucayali River in the jungle of Peru.